It took the covers off the big semi at its Salt Lake City headquarters, saying the truck’s all-electric drivetrain was good for a zero-emissions range of 1280 to 1930km. The big rig gets its energy from lithium-ion batteries and a hydrogen fuel-cell and can deliver 746kW of power and 2700Nm of torque, says the company. 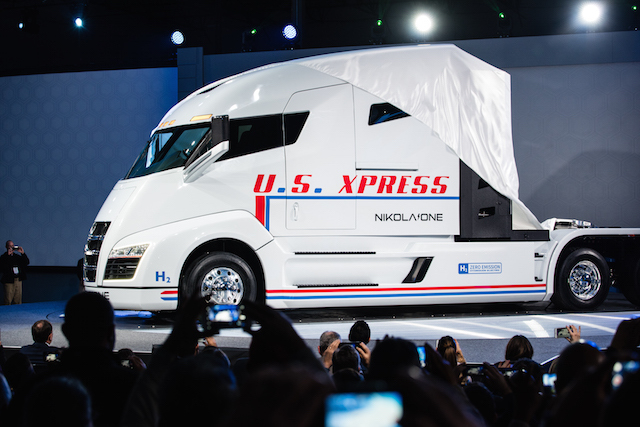 Nikola One is scheduled to go into production before 2020. NMC chief Trevor Milton (above) said he was excited to show off Nikola One to the public for the first time. 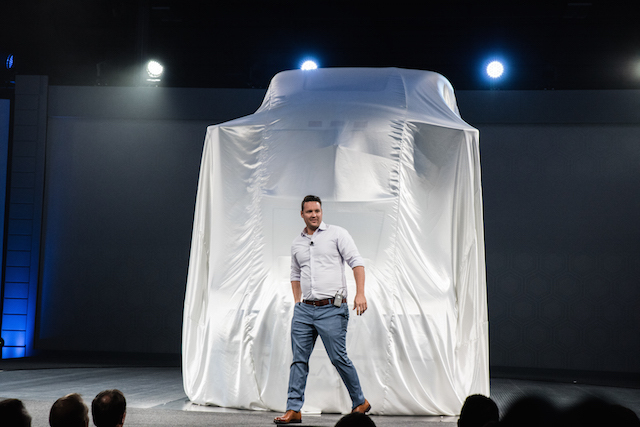 ““There are many out there that wondered if we would deliver, but today we proudly show off the most advanced semi-truck ever built. Nikola will build a world-class advanced manufacturing facility which will create thousands of new jobs”. The company has partnered with US fleet management company Ryder to provide nationwide sales, service and warranty for Nikola One. Buyers can reserve their truck for a “fully refundable” US$1500 deposit, with lease rates likely to be between US$5000 and US$7000 a month. NMC aims to start building its hydrogen fueling stations from January 2018. The lease agreement offers owners unlimited hydrogen fuel, warranty and scheduled maintenance during a 72-month leasing term. 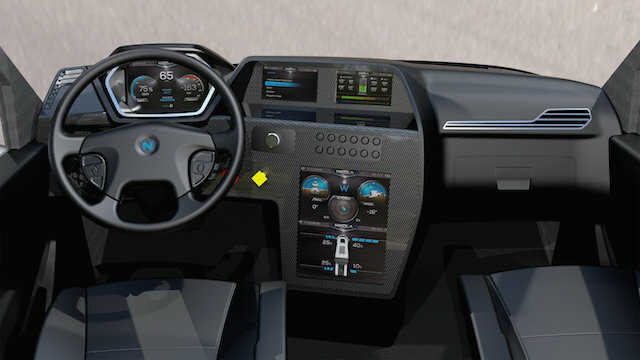 The company also revealed plans for a 107kWh upgradable battery pack in 2017 for its Nikola Zero (below), an electric all-terrain type it calls a utility task vehicle (UTV). The battery pack is claimed to be more energy dense and lighter than any production vehicle battery pack currently available. NMC says it could power a BMW i3 for over 600km on a single charge and still fit within the i3’s current chassis. It also says it would be able to develop a 125kWh pack to fit within the battery envelope of a Tesla Model S, which currently offers a maximum 100kWh pack. “This new battery pack will be offered for sale to other original equipment manufacturers in 2017, as well as an upgrade option for the Nikola Zero UTV,” said Milton. The Nikola Zero is currently fitted with a 72kWh battery pack, has a 0-100km/h time of 3.0 seconds and claims a zero-emissions range of 160-320km.